When I was a child, I remember enjoying multi-colored cereals and candies. My mother never withheld food due to the colors that were placed in them. Now fast forward to me as a mother and learning that my 4-year-old son (at the time) was extremely sensitive to food colors, especially Red #40. I never dreamt that I would spend my time at the grocery store reading every ingredient and learning how many products are filled with artificial food dyes. I was shocked to learn that blue food dye is in white marshmallows and Red # 40 is in biscuits. In preschool my son’s teacher was using colored candies as a reward for him to use the bathroom. It never occurred to me that those little candies would cause my son’s behavior to go into overload. I was doing a lot of research on four year olds and behavior issues and artificial food dyes popped up. I told the teacher to stop giving my son the candy and I was surprised how his behaviors changed. There is a lot of debate whether food dyes cause hyperactivity in children. 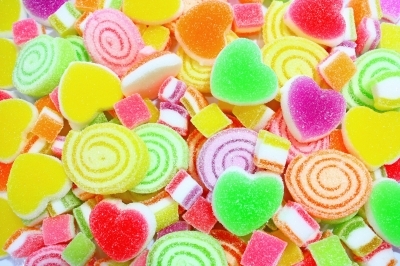 There have been studies in Europe that suggest that artificial food dyes do cause hyperactivity. Since the study, Europe has required products containing artificial food dyes to have a warning label placed on their products. Many U.S. companies that export their products to Europe have since changed their artificial food dyes to natural food dyes to avoid having a warning label put on their products. These same U.S. companies have kept the artificial food dyes in the products that we consume. The FDA claims that there is no causal relationship between artificial food dyes and hyperactivity in children. It is unfortunate that the FDA has not considered the harmful effects of artificial food dyes. I have two children and both of them are affected by artificial food dyes and I know many families that have children that also respond negatively to artificial food dyes. The only solution for parents who are concerned about food dyes is to become well-informed about the products they are purchasing and find a good grocery store that offers organic or natural alternatives.